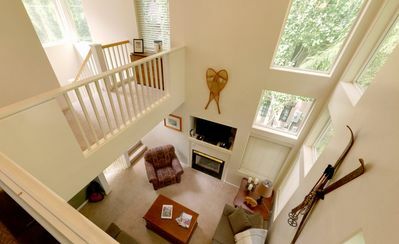 Beautiful Condo in the Sunburst Association. 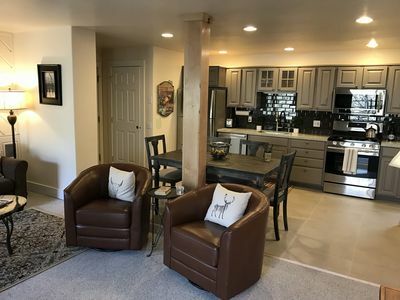 This 3 bedroom and 2.5 Bath (loft includes pull out queen and shuffleboard) 2,100 square foot end unit has been updated and remodeled. 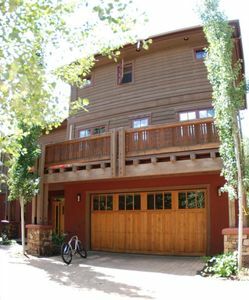 Both Summer and Winter activities provide year round use. 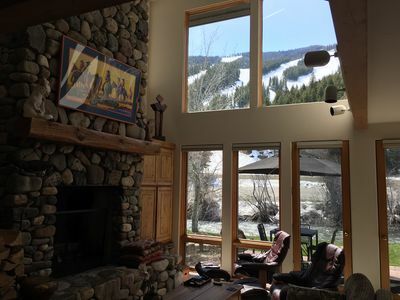 Enjoy the worlds best skiing, fishing, hiking, golfing, road biking, mountain biking etc. 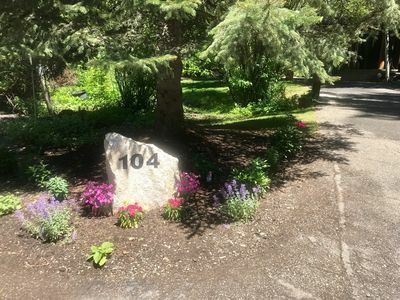 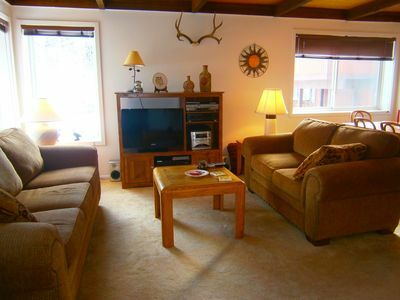 Condo pool and hot tub are within a 1 minute walk as well as the Elkhorn amenities that are included with this unit. 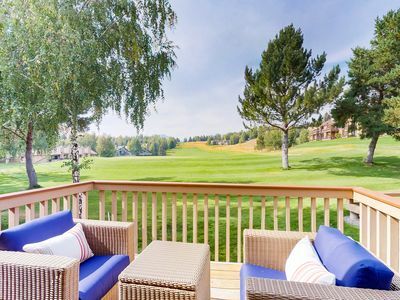 Elkhorn amenities include discount golfing priviledges at the famous Trent Jones designed Elkhorn golf course, free tennis, free use of the Olympic size pools and hot tubs at both the Harker Center and Elkhorn Community Center, as well as the other amenities provided. 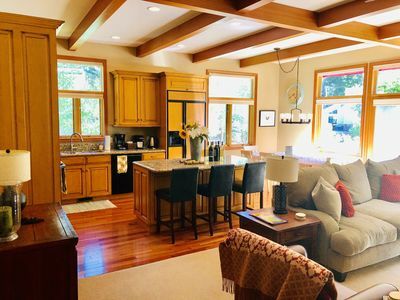 Fully equipped Gourmet kitchen, washer/dryer, linens, cable. 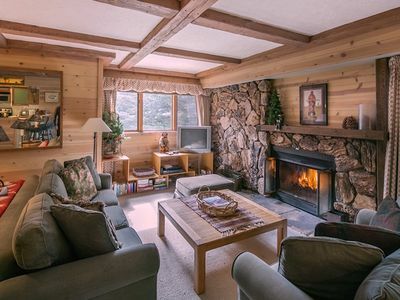 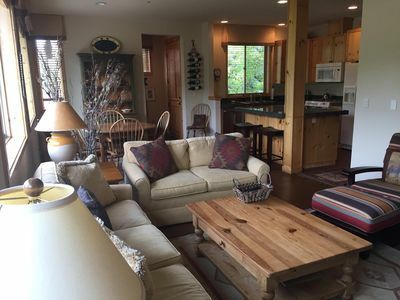 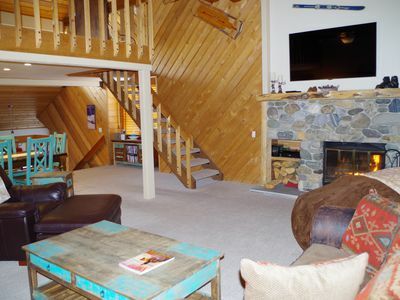 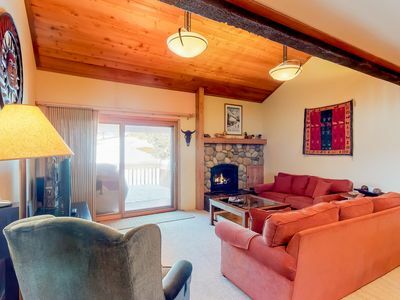 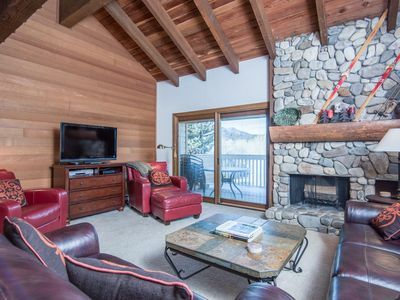 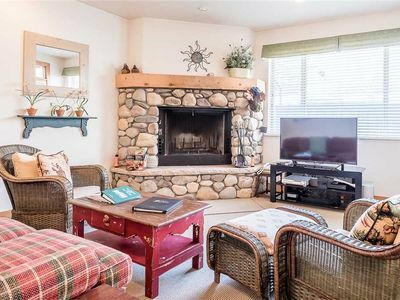 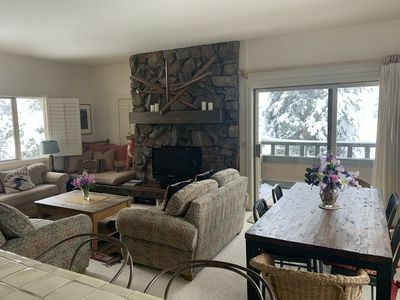 3 TV's and Blu-Ray dvd player, (Family room 60' HD flat screen w/internet) high speed wireless internet, gas Weber BBQ, 2 decks, fireplace, minutes to skiing, biking, hiking, tennis, and golf are just a few of the perks that make this a great vacation destination. 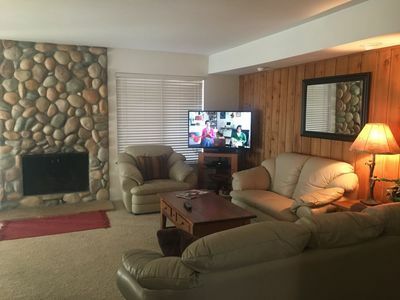 Spacious 2 BR 2Ba Sun Valley Condo, New Theraputic Mattresses to help u sleep . 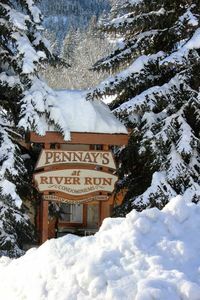 Sunny Frenchman's View-Walk to River Run Lift, Greenbelt, and Downtown Ketchum! 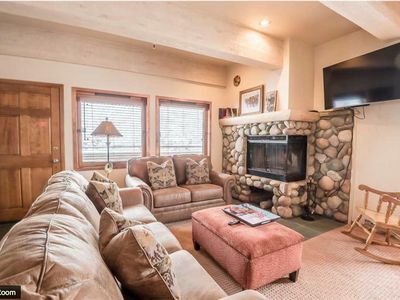 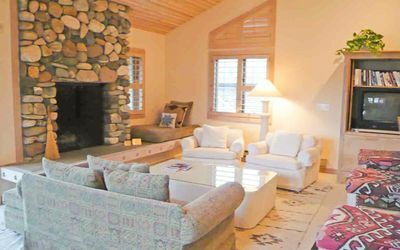 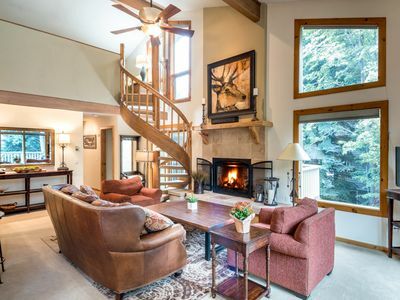 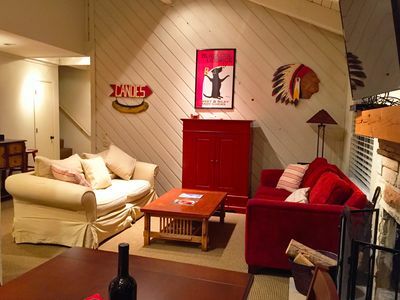 Ski-in/ski-out alpine condo w/prime location, shared pool, hot tub, & tennis!